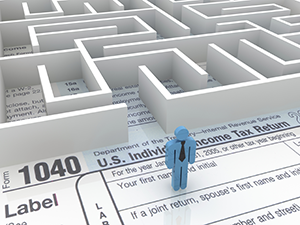 Preparing your own tax return can be extremely difficult with today's complex tax code and may often leave you with more questions than answers. These days most people use a professional tax preparer. Even if you are just filing a simple return, the rules may change from year to year and it is easy to overlook these changes and submit an incorrect return. If you do your taxes yourself, you may also end up overlooking deductions and credits. Start a personal relationship that will match your needs with effective accounting solutions. When you work with us, your tax return will be reviewed for errors by our computer software. We will also file your tax returns electronically so that you can receive any refunds faster.